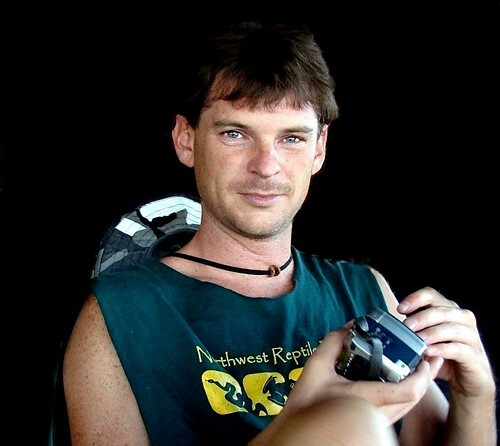 Garren Evans - April 15, 1971 - August 9, 2008, originally uploaded by EcoSnake. Garren provided the artistic design and many photographs for EcoSnake.com. He was a friend and the brother I never had. He was also an artist and overflowing with creative ideas. He will always be missed, but he will always be remembered for his talent and his caring for his friends and wildlife. Garren truly helped us understand not only amphibians and reptiles, but also, each other.